I was over at a friend’s house, taking my little one to the bathroom, when I noticed she had taken a memory verse card and clipped it to a picture hanging on the wall. 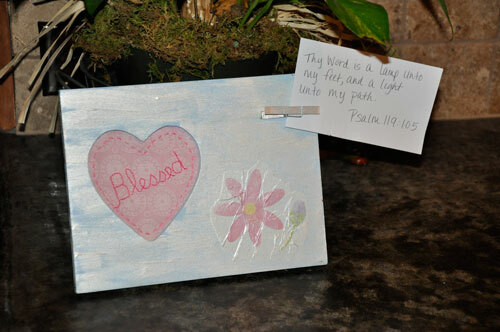 I loved the idea of having my memory verse, or any learning aid, displayed in various places in the house. 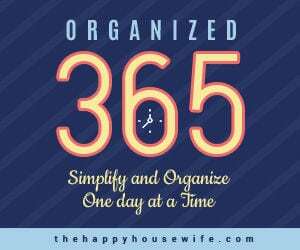 This makes it so easy to spend a minute or two working on memorizing a verse, or learning a bit of information, as you go about your daily task. My girls and I decided to get creative and create “learning display frames” to display our memory verses, their art cards, and their music lessons. 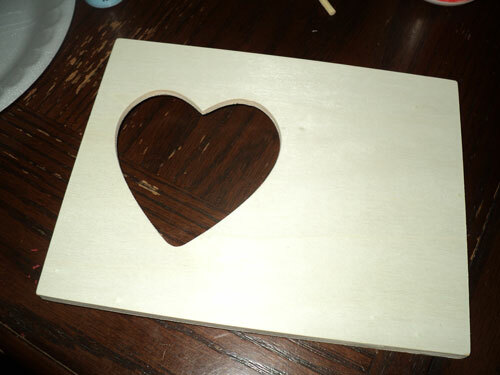 Note: These are the directions for one of the frames I made. 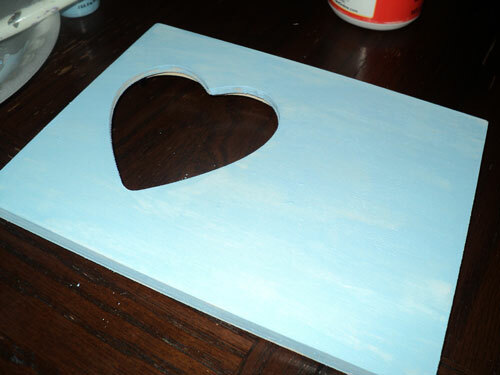 Feel free to use whatever supplies you have on hand to create a unique, one-of-a-kind frame! 1. Remove backing and glass from picture frame. 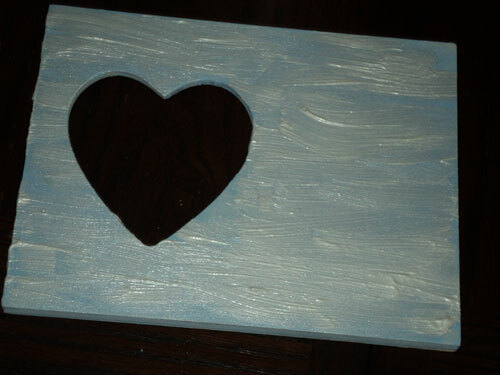 Paint frame in a base color (blue). 2. Paint frame with a second coat (here you see a iridescent pearl coat). 3. Tear a flower from tissue paper. Lay in the corner of the frame and crinkle it a bit. 4. 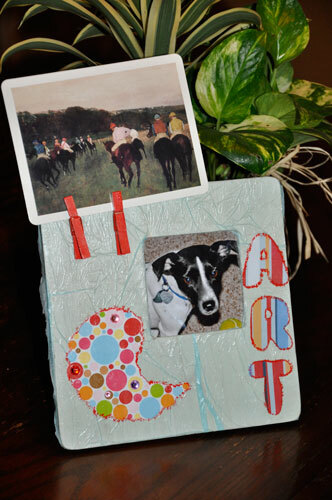 Paint over entire frame with Mod Podge to both seal it and give it a glossy luster. 5. Paint clothes pin to match frame. 6. Glue clothes pin to frame. 7. For the “picture,” you can use any picture you may have, pressed flowers, or a cross stitch pattern. These frames can be customized in so many ways. We made one to display our art cards and one to display music cards/music assignments. Another great idea would be a recipe holder for the kitchen. 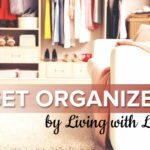 Customize the idea and come up with the perfect display frame for your home! 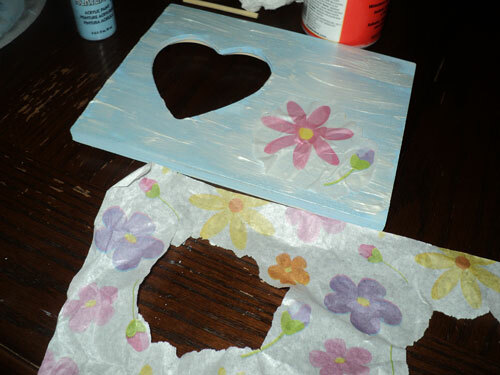 For our art frame, we took tissue paper and glued it to the frame. We then cut out letters and a cool embellishment from scrapbooking paper. My seven year old finished off the look by adding some sparkling rhinestones to the frame. 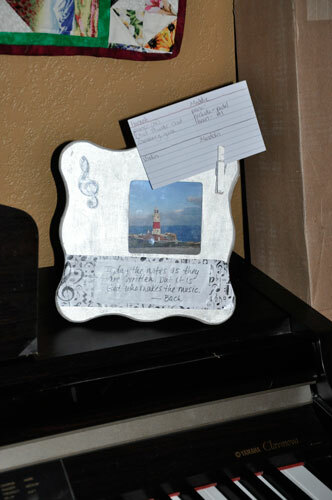 For our music frame, we glued a strip of scrapbooking paper across the frame. We then added a handwritten quote by Bach over the paper. Afterwards, we brushed Mod Podge over the entire frame to seal the writing and give it a glossy look.